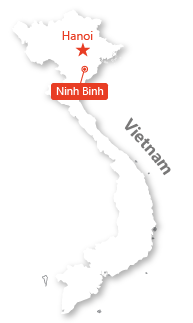 Ninh Binh, which is called Halong Bay inland of Vietnam, still attracts tourists with its magnificent landscapes of karst hills. 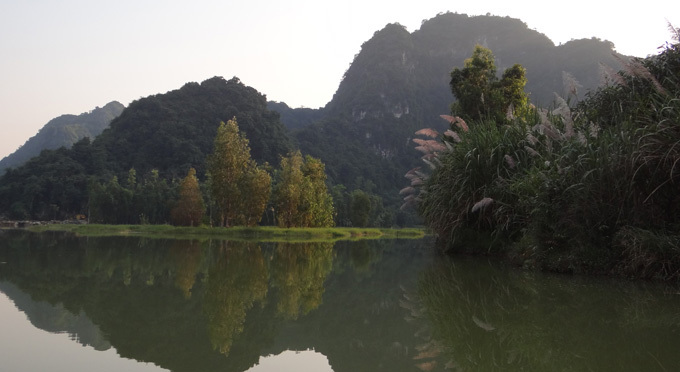 For those who wish to discover this place in total tranquility away from the tourist centers of Ninh Binh, Asiatica Travel offers you an original route in the heart of Thien Ha and Buddha cave. 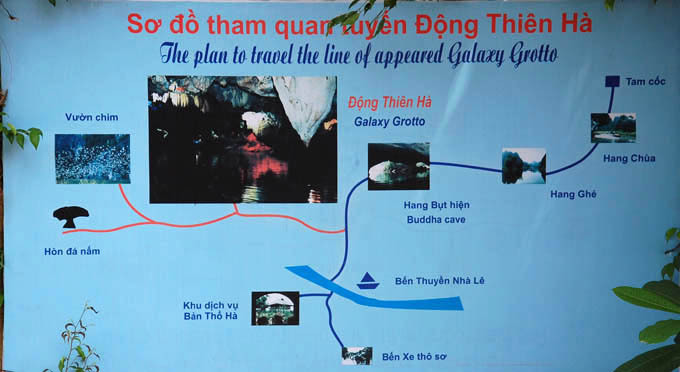 Thien Ha limestone cave system, located at Tuong Mountain in Tho Ha Village, Nho Quan District, Ninh Binh Province was first time recognized in 2007. 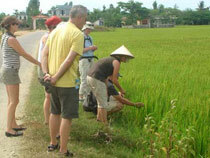 You firstly start the journey with a bicycle ride or walk to reach Thien Ha pier. 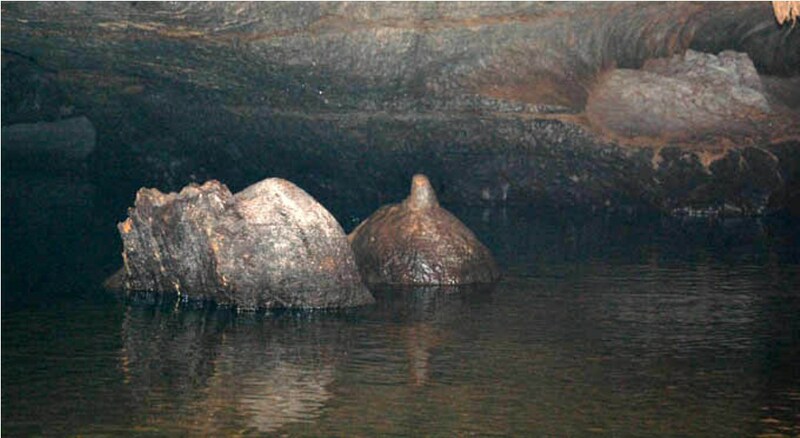 After about 10 minute walk on a small shady path, you will enter the cave immediately. 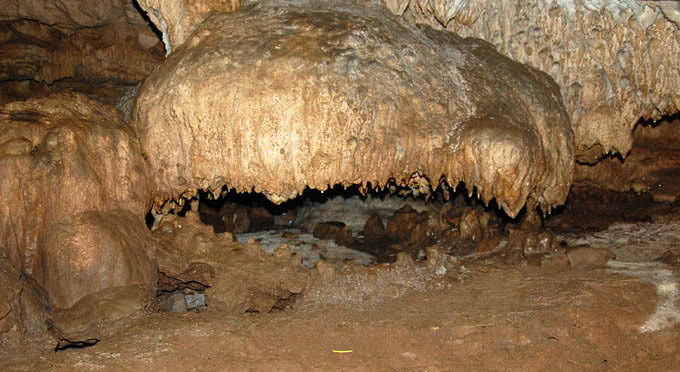 The cave is 700m long and about 3m high and consists of 2 parts: "dry" and "flooded". 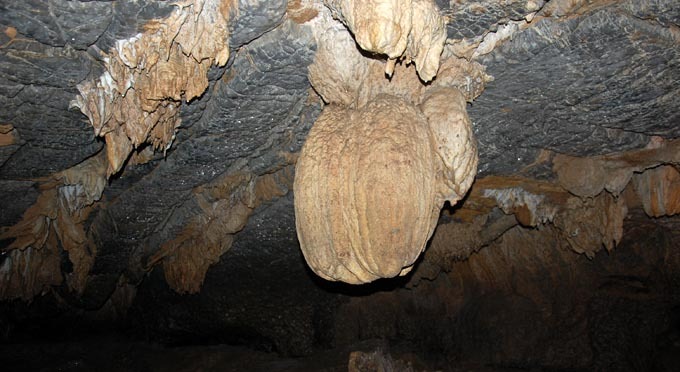 This is the time to contemplate thousands of brilliant stalactites in all colors. 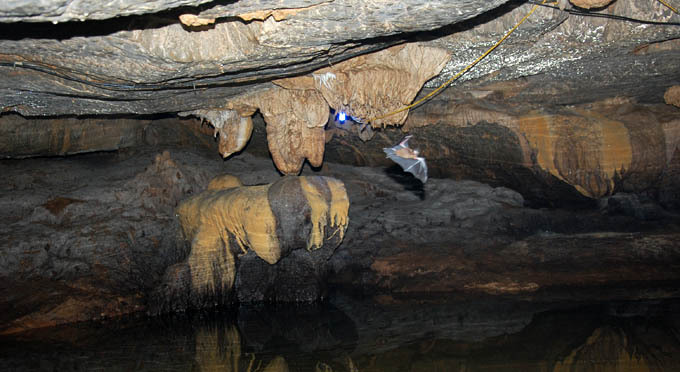 In the heart of the cave, you will see a "well of the sky" where the natural light spreads to the bottom of the cave and pierces a stone to form a large bird! At the exit of the cave, the rowing boat is ready to offer you a beautiful excursion towards the other caves of the region. It allows you to lose yourself in a peaceful surrounding on a river winding between the mountains and the caves, far away from the tourists crowd. 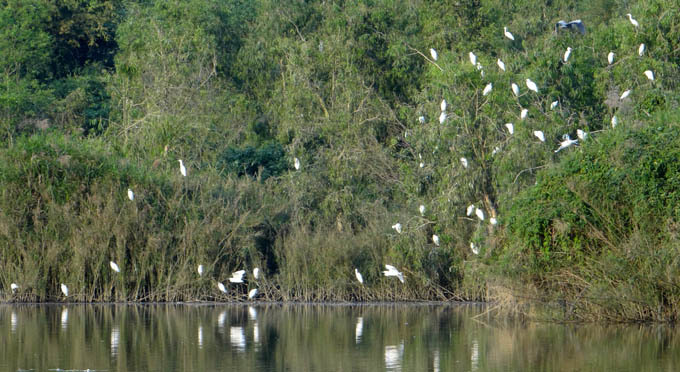 You will then discover the caves of Buddha, Ghe and Chua and an extension in rowing boat towards Thung Nham (garden of the birds) where you will see several kinds of birds: Herons, teals ... especially storks that return to their shelter. Enjoy your trip to discover! You will undoubtedly be seduced by the exceptional beauty of this natural treasure.